Marian, left, and the CCTV image of him at Asda, right. Police dive teams will be deployed on two north-east rivers as the search for Marian Pavel intensifies. 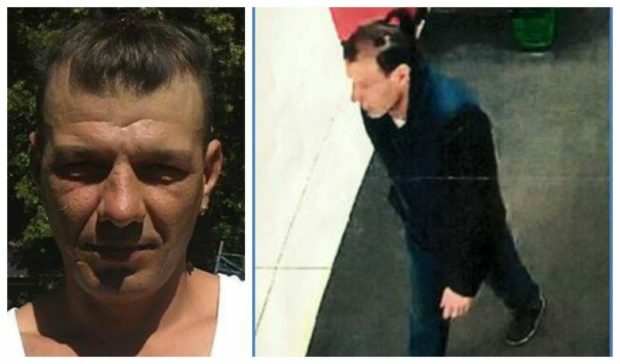 The 45-year-old was reported missing from Huntly on February 20 at about 7.30pm. Specialist searchers, including the dog unit and air support, have been assisting in efforts to trace the Romanian, who was last seen near to Dean’s Shortbread Factory in the town centre. Inspector Matt Smith said: “Despite valuable assistance from members of the public and a re-visit to the area Marian was last seen one week on, we sadly have no confirmed sightings of him since the 20th. “We had an overwhelmingly positive response to the revisit on Wednesday at Steven Road with more than 200 motorists and pedestrians stopped and spoken to. “The vast majority were already aware that Marian was missing and were very keen to assist. We are also very grateful that a number of people have come forward as a result of our appeals. “My request to the local community still stands to check any sheds, out-buildings or vacant properties you know of for signs that Marian may have sought shelter. Marian is described as 6ft 2ins , with brown hair which is shaved at the sides and usually pulled back in a ponytail. He also has a scar on his right cheek. When he was last seen he was wearing a dark blue pullover, grey woolly hat, blue jeans and black shoes.